This beautiful vintage home has been completely updated! It is situated in the prime location of College Hills neighborhood. Conveniently located, 4 blocks Walking distance to Birmingham Southern College, 2 blocks to Legion Field (McClendon Park). Minutes from UAB & St. Vincents Hospitals, the airport, downtown, parks, some of Birmingham's finest restaurants and night life. Convenient to Interstates 65, 20/59 and Highway 280. 17 mins walking distance to Public bus stop with about 6 mins short rides that can get you to all the attractions in downtown and Birmingham Jefferson County Transit Authority central station. Newly and fully renovated, a great high 9 ft.+ ceiling three bedrooms, two full bathroom historical house with large front covered porch furnished with rocking chairs, bench, dining table with chairs, and lots outdoor sitting area. It has two cars garage at alley with fenced back yard for easy access to the house without walking on the stairs at front. Large living room with wood burning fireplace and full/queen size sleeper sofa, beautiful formal dining room and fully equipped large kitchen and bath. Cleaning hardwood floors throughout. Each bedroom has queen bed, master bedroom has private bathroom, lots spacious closet space in each bedroom. Bed and bath linens provided, flat screen TV, cable, wifi, ******** is a very nice, clean, and fully equipped-furnished house. A chance for at-home feel for the price of a hotel. - Beautiful and comfortable bed sheets, pillows, duvets. - Three size towels, shampoo, conditioner, soap, shower caps, hair dryer, etc provided. - Fully equipped kitchen with a dish washer, microwave, toaster, K cup coffee maker, K cup coffee, cookware, paper towels, trash bags, etc. - Wifi connected, central air and heat for entire house. This home is being rented as a three bedroom/two bath all on one level home. There is a partially finished basement with extra storage space that are only an added bonus for your use if you so choose. Air mattresses will be provided upon request for guests over eight people. Please do not review us on the downstairs basement space. Very safe and quiet historical College Hills Neighborhood. It is changing from its traditional southern neighborhood to mixed ethnicity and culture recently. Birmingham mayor's beautiful house is just couple blocks away. There are also many BSC students and professors from ASFA, BSC living on the street. You will love staying in this house, lots spacious space, free parking in the two car garage or on the street, amazing city views from large front covered porch. No Smoking inside of home, No pets inside on beds and sofa, No Unapproved Parties or unapproved entertaining events, No loud music or noises, No illegal drugs, No illegal activities, No unapproved guests and No unapproved visiting pets, Shoes off... No littering. Do not block the alley when parking in the back of the house. Do not use the fire place. Do not burn candles or bring into our home anything that is explosives or inflammable. Do not remove or alter our large furniture or fixtures without our permission. Magazines, guides and books are at your disposal and are to be returned at the end of your stay. Be kind enough to water the plants daily. Don't use the white towels to wipe off make up or mop anything please. All our household inventory(towels, sheets, pillows, blankets, dinnerware, etc.) are intended for you to use while staying in our home and need to stay at our house please. Please leave our EVERYONE SOAP 3 IN 1 for our next guests. Be kind enough to put everything in the trashcan and not leave it everywhere. Do NOT forget to return the keys. We have worked very hard to make your stay as comfortable as possible. Please be respectful and mindful of the surrounding neighbors so that guests can continue to enjoy our home for many years to come. Please treat our home with the respect you would expect guests of yours to treat your own home. Please be considerate and keep things on the quieter-side after 9pm or before 8AM, especially when you are in the outdoor back yard and front porch, it's a very quiet and residential neighborhood. This beautiful vintage home has been completely updated! It is situated in the prime location of Birmingham. 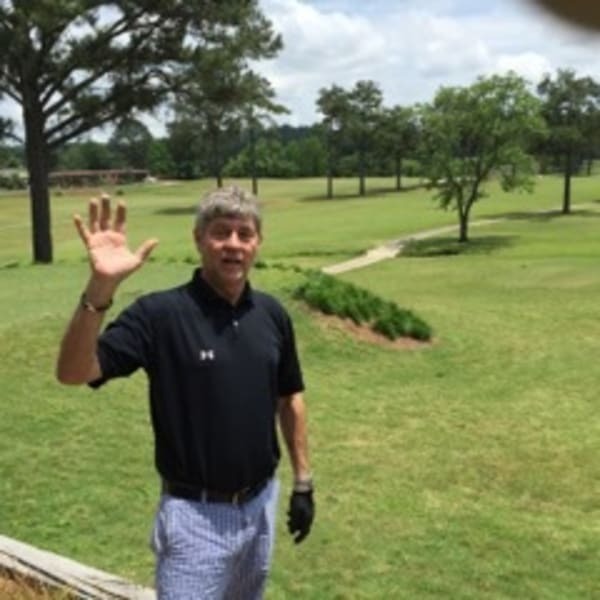 Golf: 3.6 miles RTJ at Oxmoor Valley, Highland Park and Roebuck, 13.4 miles Robert Trent Jones, 11.2 miles Woodward Country Club. Sports: 15 mins walking distances Legion Field, 3.6 miles Cross Plex, 3.9 miles Regions field. 50 miles Talladega Superspeedway and International Motorsports Hall of Fame. Hospitals: 3.6 miles UAB & St. Vincent's Hospitals, 4.2 miles to Children's Alabama Hospital. Five Points South the "Food Hub": 3.6 miles Highlands Bar and Grill, Chez Fon Fon,Hot and Hot Fish Club, Bottega Cafe & Restaurant, Oceans, Fish Market, Jim N Nicks and Dreamland BBQ, etc. Shopping Malls: 8.4 miles Brookwood Villege, 11.3 miles Summit. Shopping for Local: 4.6 miles The Market at Pepper Place. Things to do: 3.3 miles Birmingham Museum of Art, McWane Science Center and Birmingham Civic Center. 3.8 miles BJCC. 3 miles Linn Park, 4.3 miles Iron City Birmingham. 6.8 miles Mountain Brook Village, Zoo, Botanical Gardens. City Parks: 3.8 miles Railroad Park and 6.8 miles Vulcan Park. Interested in more accommodations around Birmingham?